The storms barreling down on the Bay Area aren't just having an effect on those of us on the ground, they are also making for some interesting flying weather for pilots. Case in point: An American Airlines jet flying from Texas had to make an emergency landing in San Jose Monday morning after it was hit by a powerful gust of wind during its descent to SFO. The flight was No. 1965 from Dallas/Fort Worth. The plane and its pilots were already dealing with is being called a minor problem with the plane's throttle, American Airlines spokesman Tim Wagner said. Then, as it was making its approach to San Francisco, the plane encountered a short, intense gust of wind known as a microburst, Wagner said. The wind, combined with the throttle problem, prompted the pilot to declare an emergency and diverted the plane to San Jose. Firefighters were called to the airport as a precaution, but the plane landed safely and nobody was hurt, said David Vossbrink, a spokesman for the airport told Bay City News. 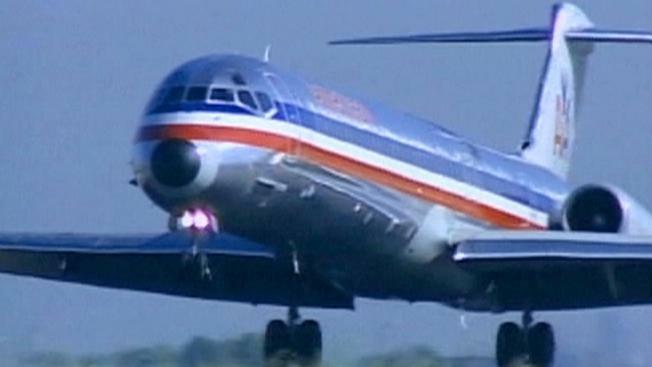 The plane was a McDonnell Douglas MD-80 that seats 140 people. The passenger were bused from San Jose to SFO.